New York has given rise to some of the best poker players that the world has ever seen, players such as Erik Seidel and Stu Ungar were both from New York and they even went on to be crowned champions. However, even though poker has always been popular in New York, it was never fully legally accepted and hence was restricted mostly to dingy, poorly lit backrooms of back alley clubs in and around central New York. There is now a push which is gaining steam to legalize and regulate online poker so New Yorkers can play legally, and in a safe environment. The proponents also want to pass legislation which will bring in some big brand land based casinos to the state. If everything goes as per plan, it will not be long before you can play poker in online poker rooms which are regulated by the State itself. As of 2017, New Yorkers cannot legally play real money poker in online casinos of their own but they are still do have some choices when it comes to playing real money poker tournaments at state regulated online poker rooms. 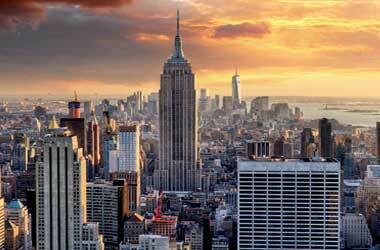 What does the future hold for online poker in New York? 1. Can I play online Poker in New York? 2. What is the legal age for gambling in New York? 3. Are there any live casinos in New York? 4. Can I make real money deposits/withdrawals with online poker rooms in New York? However, the legality issue surrounding poker is a gray area since it can be argued that poker is not entirely a game of luck and is instead a game of skill and the players do have certain control over what happens in the game unlike in blackjack or roulette where it is purely skill. This is a strong point for online New York poker players and is good sign that the push for legalization and clarity may be successful. When it comes to legalizing online Poker, there are two bills that have been drafted which specifically target legalization and they are the apple of the eye for poker players across the state right now. A ray of hope came when Lawrence DiCristina was charged for hosting poker games in his private property, but the charges were dismissed by a lower court which considered that Poker was a game of skill and not chance. This verdict sent a strong message in terms of how the thinking had changed within the state’s judicial system. Following this almost landmark decision, a state bill was drafted and proposed by Senator John Bonacic. This was Bill S6913 and it was essentially an amendment which would explicitly recognize Poker as a game of skill and shed some light on the legality issues that surround it currently. If passed, it would inevitably lead to a number of new regulated New York online poker rooms. Currently, the bill remains just a proposal and is awaiting approval from the Senate Committee on Racing, Gaming and Wagering. Given the legal challenges around online poker, it is understandable that live poker at this time is mostly restricted to unregulated back door Poker rooms. Fortunately, there has been a shift in the thinking of the state when it comes to online poker. Poker is heading towards legalization and regulation and it is only a matter of time. Having said that, a lot of it is still in limbo as we await the verdict on the proposed bills and amendments seeking to recognize Poker as a game of skill and hence have it legalized without a question of a doubt. However, unlike in New Jersey, it does not seem likely that online casinos will be legalized in New York, just online poker rooms only. Therefore, there are going to be a lot of poker only sites coming up for sure. It may still take a year or two before online Poker can be played without any legal challenges, but for the moment, the biggest chance is through bill S6913. However, if you were to look at the possible challenges which online poker could face, the most notable one would probably be in the form of the Restoration of America’s Wire Act. This bill is supported by a land based casino kingpin Sheldon Adelson and it essentially proposes the opposite of S6913 in that it does not allow for any relaxation laws surrounding legality of online poker. It would basically outlaw online poker not just in New York, but throughout the country (including states like Nevada and New Jersey). Passage of this would crush any hopes that poker players in New York have of legalization and it would also render bill S6913 useless and would not even consider it. There are several State regulated online poker only rooms that serve New Yorkers specifically. You can most certainly play online Poker legally in these websites. Furthermore, there are several other Poker rooms which accept players from anywhere in the US, and New York players can play on such sites as well. As per the state laws in effect in New York. You need to be at least 21 or over to be able to legally take part in gambling activities. Most regulated racinos in New York will not allow you to participate any real money Poker tournaments of games if you happen to be under the age of 21. There are several racinos in New York. This is a hybrid kind of casino which includes not only a horse racing track and horse racing events, but also a casino. In most such Racinos, the gambling is mostly limited to slot machines, but table games are beginning to make appearances in these establishments. You can find live poker in many such racinos nowadays. Yes! Some credit card and debit card processors will decline transactions that involve a casino or a poker room as the merchant in question. However, you can overcome this with the use of e – wallets. You will not have any issues making real money transactions with the State regulated and white listed casinos.